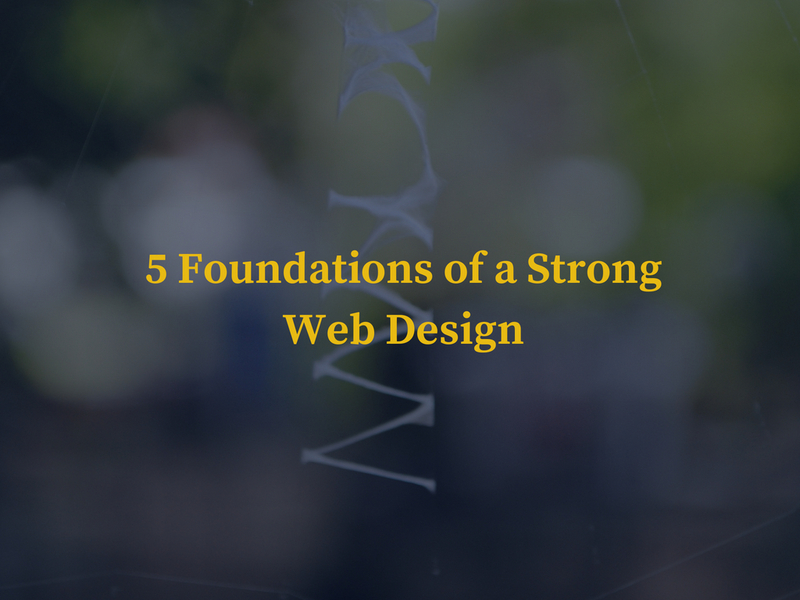 Business web design is often thought of as a wholly creative endeavor, but creating the perfect web presence isn’t just a matter of sketching out ideas until they come together. There are some fundamentals that creative teams need to pay attention to – and clients should look for – to produce a professional result. The first thing a good web designer will do is consider their client and project. What looks perfect for one business or situation might not be appropriate or impactful for another. No two businesses are the same, so their websites shouldn’t be identical, either. Things like customer type, location, and even marketing tone all have to factor in if you want to create the perfect design. Today’s searchers and online customers are moving faster than ever. Studies and surveys show you have less than three seconds to impress a first-time visitor to your website before they’ll click away to one of your competitors. Knowing that, it’s crucial that a web design be easy to understand. That is, someone who is looking for answers should be able to understand who you are and what you do in the blink of an eye. Did you skip over this article and check out the bullet points before digging into the text? That’s exactly what most of your customers will do when they arrive on your website. When you have lots of white space separating blocks of content, images, and video from one another, it makes it easier for them to instantly grasp your most important selling points. It also encourages them to find the information they want as quickly as possible. Most of the time, a visitor to your website isn’t going to start at your home page and make their way through to the topic or section they want in a straight line. In fact, some may become “lost” either because they hit the wrong link or arrived on a sub-page from a search engine or social link. If you have a clear navigation structure in place, you won’t lose those sales opportunities because it will be easy for searchers to get where they are going on your pages. The reality is you have a website because you have business needs. That is, you’re trying to generate online sales, phone calls, in-person meetings, or other forms of activity. Your web designer needs to know what a perfect visit looks like and then structure your pages to encourage that result again and again. If you feel like you aren’t getting the kinds of results you deserve from your existing business website, maybe now is the perfect time to talk to the experts at WebRevelation in San Antonio in Oklahoma City today. Contact us now to set up a free consultation and see how we can help! 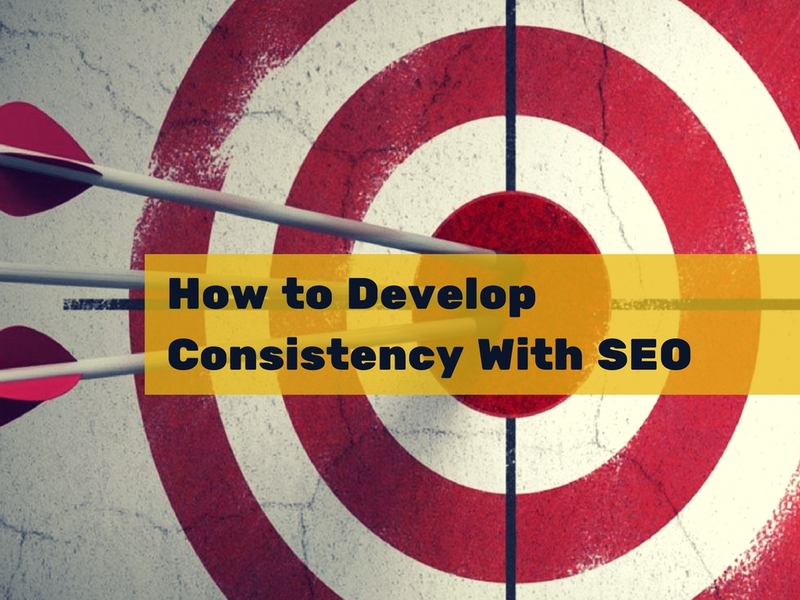 One of the things that makes search engine optimization (SEO) difficult for a busy marketer is that it takes a consistent amount of time and effort to earn a top Google ranking. To understand why, think about it like exercise. 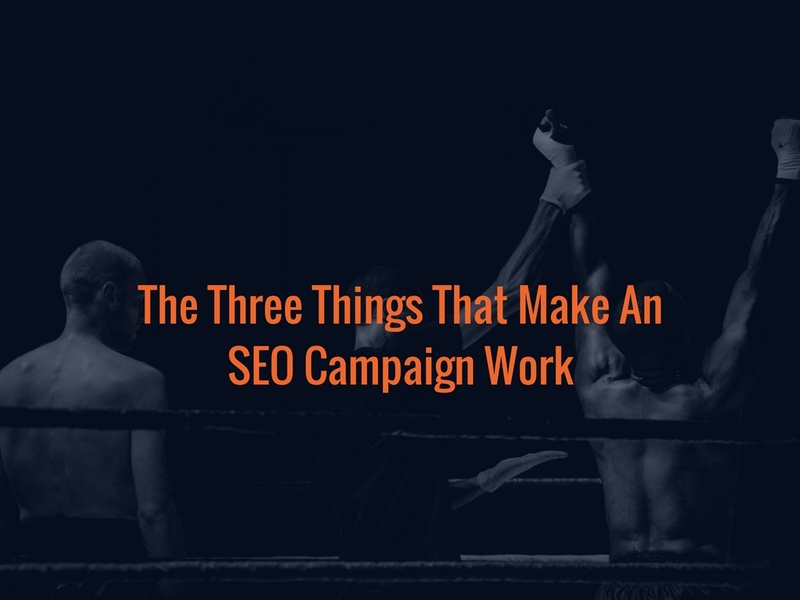 You can’t simply toy with SEO when you feel motivated to do so. Unless you work at it every month (and preferably every week) you will struggle to make lasting improvements over time. The professionals who write your favorite blogs and television shows don’t get writers block because they plan themes and episodes well in advance. In other words, they never find themselves facing an empty screen or a blank piece of paper. You don’t have to, either. Work from a calendar of upcoming posts and you’ll never be out of inspiration. Writing isn’t really an activity; it’s more of a habit. By that, we mean it gets easier if you do it frequently. It’s difficult to stay on top of your content marketing if you’re constantly setting aside hours at a time to compose new ideas. See if you can commit to writing for 10 minutes a day instead. You’ll be amazed at how many more pages you can finish that way over a few months. While succeeding in search engine optimization has traditionally been dependent on writing web pages, articles, and blog posts, those aren't your only choices. If you’re better working with images, video, or even audio clips, try promoting your company with those. Google uses advanced software that can “read” and “hear” non-text content that customers might like. If you find that you really don’t enjoy producing content, or simply can’t make the time, then you don’t have to let your search engine optimization campaigns wither and die. Instead, find a creative team who will take the time to learn about your business and let them take over your editorial calendar. You might not like paying for content, but it will be worth it over the long run when you start attracting more search visitors from Google. The most efficient and effective search engine optimization campaigns are constantly being tweaked and improved over time. Work with your creative team to review your web analytics and assess your progress. When it’s time to focus on new topics, markets, or keywords, don’t be afraid to experiment. Search habits change all the time, and your marketing plan should be adjusted accordingly. Ready to Kick Off Your SEO Campaign? If you’ve been following along in our search engine optimization series and want to start bringing more customers from Google to your business, this is your chance. Contact WebRevelation today at our offices in San Antonio and Oklahoma City to set up a free consultation. We will be happy to review your website and online marketing goals with you to find an affordable and effective path forward. Contact us now! Do you want to generate more content for your search engine optimization (SEO) campaigns, but struggle to write regularly? Or, have you tried to produce regular articles and blog posts but found it’s a challenge to actually get attention from Google and real-world readers? In either case, the answer might be to follow some professional-grade tips on creating online content. Having a process to guide you makes it easier than it would be to start writing from scratch, and knowing how you should arrange and format your articles increases the odds they’ll show up in Google’s search engine listings. The classic mistake business owners and marketers make is trying to write pages or articles structured around keywords. It’s tough to form big ideas from single (sometimes awkward) phrases. A better approach is to simply think about an interesting topic within your business or industry and start your article there. It’s easier to add in keywords later, as needed, than to begin by making them the centerpiece of your content. It should go without saying that you don’t want to sacrifice the informational or marketing tone of your article just to fit in one more exact-match keyword phrase. Neither should you weigh your posts down with lots of jargon or acronyms. Think about your average reader or customer. Consider what they know, and which topics or concerns matter to them. Then, set up your content in a way that’s easy for that target market to digest and understand. The standard advice in SEO is that you want your targeted keyword phrase to appear in the title of anything you post online. That’s not bad advice, but we recommend going a little farther. Make sure your titles are interesting to readers. In fact, try to put them together in a way that makes your content seem irresistible. If you need inspiration, check out a few of the websites or blogs you like to read. Then, see if you can tweak the titles or topics to fit your industry. With a strong title you are essentially “selling” the reader on giving their attention to you. Once they click through to your content, their eyes are going to be naturally drawn to the images or photographs you use to accompany your articles. Make sure you choose something that’s relevant, vivid, and interesting. And, don’t forget to add “alt image text,” as these tags are scanned by Google’s spiders. Internal links are important to your SEO and content marketing strategy for a couple of reasons. First, the text you use in your link can help make a page more visible to Google. And second, readers who like your ideas may follow links from one article to the next. Knowing that, you might want to include a couple of links in each post that move readers onto a related subject. You’ll definitely want to end each post with a call to action, too, that invites a searcher to become a customer. If you want to make the most of search engine marketing, you’re either going to have to become proficient at writing content or work with a creative team that will do it for you. Either way, we hope you’ll follow the five tips we’ve outlined in this post. Then, check the WebRevelation blog again soon because we are going to give you more great advice on achieving consistency in your SEO campaigns. Or, for the very best in web design and search engine optimization advice, contact the WebRevelation offices in San Antonio and Oklahoma City today! 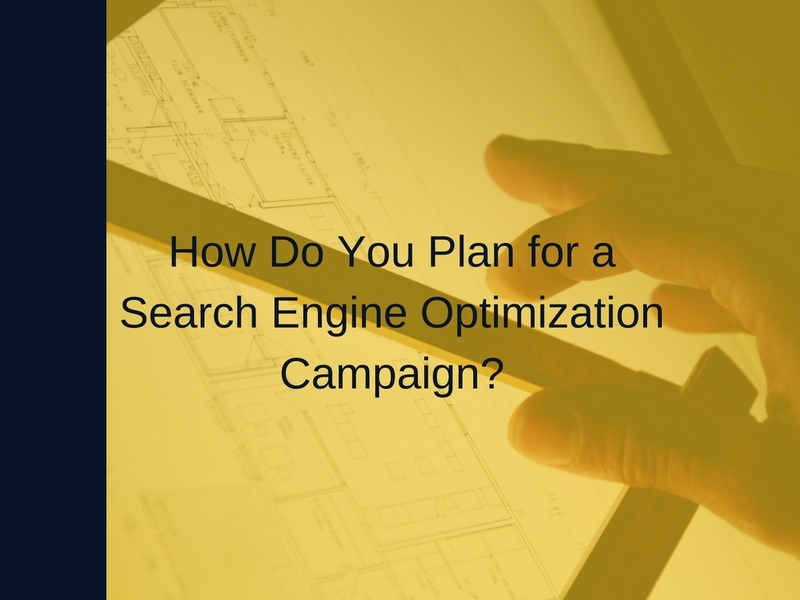 How Do You Plan for a Search Engine Optimization Campaign? Most business owners wouldn’t launch a new product, open a new office, or hire a new employee without doing some planning and investigative work. When it comes to search engine optimization, though, many of the entrepreneurs we meet seem anxious to start “doing” things without any strong or firm strategy in place. That’s understandable. Every day you’re not working on your Google visibility is a day when your competitors are theoretically pulling farther ahead. At the same time, though, it’s difficult to succeed in any aspect of online marketing without the right strategy. 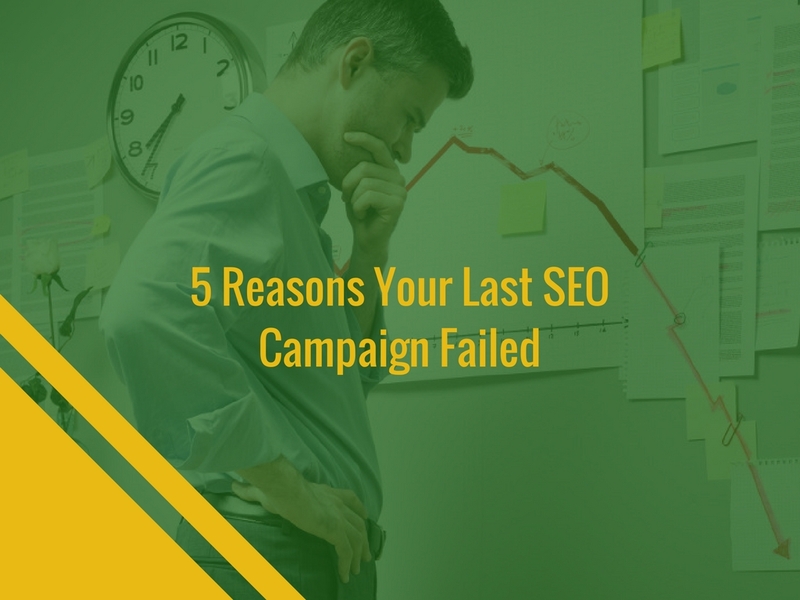 Fail to plan enough in putting your SEO campaigns together and you could end up right back where you started – only with less money or patience to show for your effort. Good search engine optimization campaigns aren’t really about keywords or links; they are about the customers you want to bring to your website. The more you know about your market, and the motivations of your buyers, the easier it is to find them and appeal to their needs. Once you know who your customers are, you have to consider what it is they are searching on Google, Bing, and other web portals. That means assessing recent search activity and trends so you can optimize your pages and content for the right keywords and search strings. Unfortunately, you won’t have Google’s attention all to yourself. You have competitors who also want to attract search visits to their websites, too. By working with a web design team who will study the competition, you can get a sense of which terms or buyers to target and how you can make your website stand out. Is your website well-constructed to attract search visits? Do you have technical issues (like slow page loading, outdated plug-ins, or duplicate content) that will make your content invisible to search spiders? These are the kinds of answers you get from a comprehensive audit of your website, which is an important step in the SEO process. Bringing a potential customer to your website is just the first step. Once they arrive on your pages, you want to make a sale, capture a lead, or convince them to return in the future. To help you accomplish those goals you should have an established sales funnel in place that guides a prospect from their first visit to a completed sale. Need Help Turning Your SEO Plan Into Real-World Results? Every good search engine optimization campaign starts with the right plan and preparation. Without that, marketers are just checking items off of to-do lists that may or may not lead to any real revenue growth. When you’re ready to use SEO profitably effectively – or just to get more from your business website – turn to the experienced team at WebRevelation. In one short consultation, we can help you to see what’s working with your website, where your biggest challenges and opportunities lie, and your best steps forward. Contact us today! Or, stop back for the next article in our series on generating search-friendly content. In our experience, there are really two types of companies when it comes to search engine optimization: those getting lots of traffic (and sales) from Google, and those who have tried and failed. If you’re amongst that second group, you might not even know why things didn’t work out. We talk with a lot of business owners who feel like they did all the right things to make SEO work, but didn’t see their efforts and expenses turn into any real results. So, they end up confused, frustrated, and feeling like search marketing is a waste of time. Often, when a business owner tells us they have “tried” SEO, what we find is they hired a consultant who used outdated tactics that were based on gimmicks. These might include keyword stuffing and link farming, which were in vogue years ago but don’t help you improve your visibility on Google now. You can’t compete in today’s search environment by sticking to tactics that only half-worked in the past. Instead, you have to stay up with the best practices around organic search trends in 2018 and beyond. The problem with following good SEO advice that actually works over the long term is that it can take weeks or months for the campaign to really make an impact on your bottom line. Real solutions aren’t quick fixes, even though that’s exactly what a lot of business owners want from an online marketing company. If you decide to improve your search positioning but give up after a few weeks – because you aren’t seeing results yet, or hate producing new content – you can’t be surprised when your campaigns fail to produce anything. A good web design team will audit your website and make any needed improvements or revisions before putting a search engine optimization plan in place. However, if you went with a vendor who wasn’t so thorough, they could have missed details that stopped Google’s spiders from crawling your pages. Issues like broken links, duplicated content, and slow page loading speeds can all kill your SEO campaigns. Before you can get attention from searchers, your website has to be ready. Believe it or not, you can achieve a top ranking on Google and still fail at SEO. That’s because traffic doesn’t equate directly to sales; just because someone visits your website doesn’t mean they’ll visit your shop, make a purchase, or call to set an appointment. To make SEO profitable, you need to generate conversions (and ultimately revenue) from your pages. That’s a lot easier when you have a plan in place to persuade visitors to contact you or complete a sale. Search engine optimization, like all forms of marketing, is about making plans, executing them, and then finding adjustments to improve. Somewhere along the way you have to evaluate the keywords and search terms you’re targeting and tweak your landing pages to increase your response rates. You can’t afford to sit still with SEO for very long. When you stop getting better, you practically guarantee your campaigns won’t be as successful as you’d hoped. Looking for SEO and Internet Marketing That Works? If you’re tired of chasing gimmicks and fads and feel ready to use the internet to attract customers to your company, now is the time to get the expert advice you need. Contact WebRevelation today and we’ll be happy to schedule a free, no-obligation consultation. In just one hour, we’ll review your website with you, give you some recommendations to reach more customers, and show you how easy and affordable it is to start getting better results online!